Citizenship by Investment Programmes (CIPs) are operated, in one form or another, by many countries, including the US, Canada, and several European Union (EU) nations. Yet, commentators in various media single out Caribbean countries and Malta for adverse comment. The adverse comments start with the inferred condemnation that CIPs are inherently bad. But this blanket condemnation is not applied to Canada (where Quebec has recently reintroduced an investment programme leading to Citizenship), the US or the EU countries except for Malta, one of the smallest nations in the community. It is significant that the International Monetary Fund (IMF), which appraises the financial sector of every country, including those in the Caribbean and Malta, have never endorsed the condemnation of the CIPs. What the IMF has said, in relation to the Caribbean countries that operate such programmes, is that they are volatile and may not be sustainable over time. So, the IMF has recommended to governments that they should utilise the largest portion of the CIP's revenues for retiring debt. All of them follow this advice to one extent or another, although, understandably, they cannot commit all the revenues to debt service because they have to provide goods and services to their people. The critics of the CIP hang their disapproval on the peg of money laundering and tax evasion. They claim that CIPs can be used for these purposes, even though they have failed to explain how or to produce evidence of instances where it has occurred. But, they do so either from a lack of knowledge of the thoroughness with which CIP applicants are vetted, or because it suits them to ignore the facts. If the objective is to smear and discredit, why pay any attention to a reality that would explode it? The latest vituperative assault on the CIPs operated in the Caribbean and Malta claims that applicants can hide behind the veil of a limited company or a limited liability partnership, to secure citizenship and hide funds gained from tax evasion, money laundering and other crimes. However, in the CIP's operated in the Caribbean and Malta, applicants have to be natural persons. Further, these persons have to provide extensive information on their backgrounds and financial history. That information, certainly in the case of Antigua and Barbuda (the country with which I am familiar), then goes through several layers of scrutiny, including by the International Criminal Police Organization (INTERPOL), an intergovernmental organization that facilitates international police cooperation. When an applicant emerges successfully from that process, his or her story has been laid bare and intensely inspected. The successful applicant does not, as uninformed commentators have alleged, end up with a fresh identity and the erasure of their previous nationality. All the information on the successful applicant, including their other nationalities and history, is retained in the records of the vetting agencies, including Interpol. Moreover, with the introduction of biometric passports, all the information regarding existing and previous nationalities are recorded, and are available at border crossings. Those who continuously condemn the CIPs also fail to acknowledge that all the governments that operate these programmes - by whatever name they are called - do so as a means of bringing revenues and investment into their countries. In the case of the small Caribbean countries and Malta, they have adopted these programmes out of economic necessity. For the most part, their economies are small; they suffer from a lack of sufficient domestic capital formation to fund development; they are reliant on, at the most, two sources of economic activity that are subject to external influences; they suffer from poor terms of trade, including being treated by the rules of international trade as if they are the US, Japan, India and South Africa; and the cost of their very existence is higher than the majority of other countries because of their remoteness from global centres of production and distribution. They did not implement these programmes for any reason other than the financial benefits they bring. And, their reasoning is no different from that of large industrialised nations that operate similar programmes under different names. What is crucial to the success of these programmes and their acceptability is vigorous, thorough and intense scrutiny of the applicants for citizenship. No government knows that better than the ones who need the survival of the programmes in order to provide the revenues their countries require for social improvement and economic development. For the programmes to be successful, they certainly need applicants of high worth, but they also require great comfort by the governments of countries to which the successful applicants will travel. That is why the investment made in vetting applicants must be constantly reviewed and strengthened. Malta is a member of the 28-nation EU and the CIP Caribbean countries are members of the Caribbean Community (CARICOM). Within both these communities, concern has been expressed about the Citizenship programme on the basis that successful applicants then have access to all the other countries in each group. That argument is stronger in the case of the EU that does have unrestricted cross-border access and rights to establish business and take-up residence, although the Maltese government stresses that its citizens by investment are more thoroughly scrutinised than native-born European citizens. The argument is weaker in the case of CARICOM, where nationals of the member countries do not enjoy the rights enjoyed in the EU. 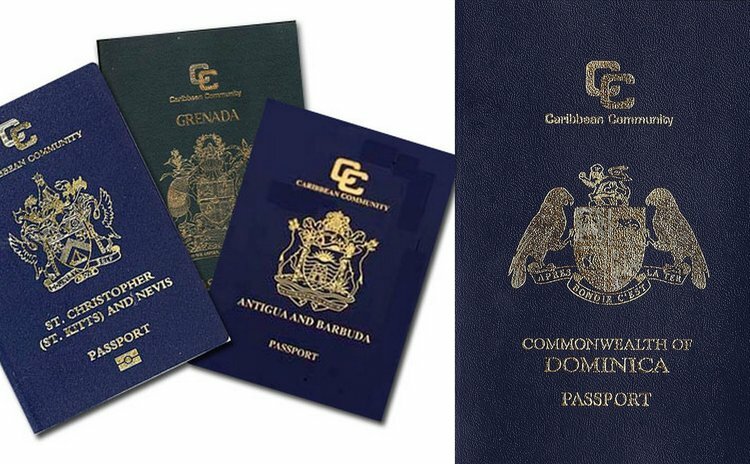 Even native-born nationals of CARICOM countries do not have rights of residence and establishment, except for a small category of workers and, even then, the individual governments have the right to reject any person in keeping with their national laws. But, if the high worth persons, who become citizens of one CARICOM country by way of investment, chose to spread their investment to other countries within the community, governments have the right to reject it. They also have the privilege of welcoming the new investment without having to undertake the expense of attracting it or vetting the bona fides of the investor. At the bottom line, critics of the CIP will continue to beat the drum of condemnation – some of them for murky reasons. The answer to such criticism must be transparent, accountable programmes that maintain the highest standard of vetting that is possible.